Here we will be sharing some of the commons issues Nokia 7 users are facing and How To Fix Common Nokia 8 Problems which includes Bluetooth, Wifi, Camera, SDcard, Mobile Data and more.So If you are a Nokia 7 user, then this guide is definitely for you. Nokia 8 is the flagship smartphone of Nokia with decent specifications, and it is a direct competitor of OnePlus 5 and Samsung Galaxy phones. It has a 5.3-inch display with 1440 x 2560 pixels resolution. It is powered by octa-core Qualcomm SnapDragon 835 chipset. 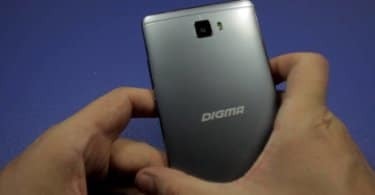 The handset is available in two variants 4/6 GB of RAM and 64/128 GB internal storage. It is further expandable to 256 GB via microSD. Following the latest trend, it sports dual rear camera of 13 MP and 12 MP front selfie camera. There is fingerprint sensor on the front side, and it runs on Android 7.1.1 Nougat. The OTA update to Android 8.0 Oreo should be available soon. Some users have reported that they are not able to pair with other Bluetooth devices from Nokia 8. Make sure the Power Saving Mode is disabled. Go to Bluetooth Settings and clear the cache and remove all the saved connections. Start connecting with new devices afresh. Just like Bluetooth connectivity, sometimes, Nokia 8 cannot recognize your Wi-Fi. In such a case, take the following steps. Switch off your router and go to Nokia 8’s Wi-Fi settings. Tap on forget the network option for all the saved networks. Add your network again with all the required details and mane sure to disable Power Saving Mode. The front camera with a small aperture and the photos taken in low light conditions are very bad. There is no solution for the issue except the following. When you are taking photos with the front camera, make sure you do so in the bright light and that too the light should fall on the subject rather than the light being present in the background. SD Card is not getting detected seems to be a common problem. It could be due to the fact that you have a damaged SD card or faulty SM Card slot in Nokia 8. Reboot your device and insert the SD card. If not detected, insert the card in another phone to make sure it is not a faulty one. If detected, connect it to computer and format it. Then reinsert in Nokia 8. If still not working, you can try with another SD card or better take Nokia 8 to the service center. There are reports that some apps are not working on mobile data connection but working with Wi-Fi connection. Go to Settings> Networks>Mobile Network>Access Point Names. Tap on APN and change the protocol to IPv4 orIPv4/IPv6. If you are facing overheating and fast battery drainage issues, take the following steps. Uninstall the unnecessary apps and go for Factory Reset after uninstalling them. Keep the resolution of the videos low when you are streaming them to avoid overheating. Go to Settings>Battery and check which apps are draining your battery. You can install Greenify to hibernate background apps. Do not use your device while it is charging to prevent overheating. 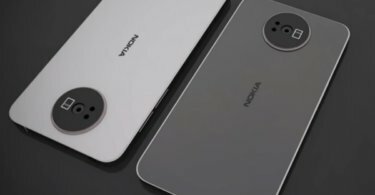 Many users have expressed their dissatisfaction with adaptive brightness issue in Nokia 8. If you have the latest OTA update, take the update and it is likely to solve the issue. If not, install Lux Auto Brightness from Play Store and you will have the option to control brightness. It might so happen that Windows 10 may not recognize your phone as a storage device when you connect it to your computer via USB cable. Hence, you will not be able to transfer files even though your phone will get charged. Under Settings, you will see a new option Developer Options. Tap on that and tap on USB Debugging inside it. Reboot your phone and plug in and change USB configuration to MTP.